In Guidaloca's Bay, not away from Scopello's Faraglionis and from the splendid Natural Reserve Directed of the Zingaro, in a place in which is still possible to bathe in the transparent and crystalline sea and to find uncontaminated nature, the Residence Guidaloca rises, absorbed in the green silvered of the ulivis and embellished by a delicious garden. 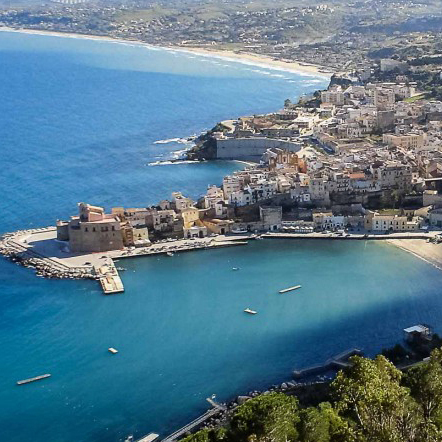 A marvelous gulf, between the sea and the mountain, Castellammare del Golfo shines with its little port. Symbol of the city is the Arab-Norman Castle. The coast is varied, going from east to west we find a wide beach up to the most rocky part of the coast. 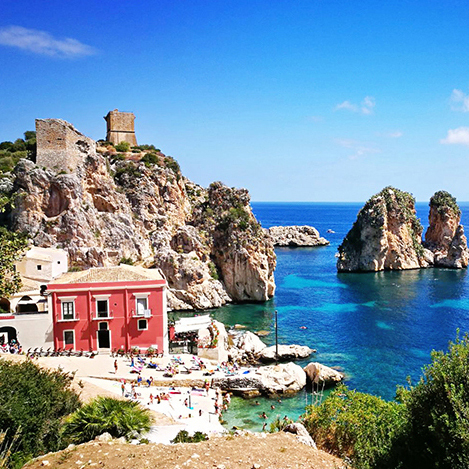 The suggestive Tonnara of Scopello has been active some years ago. 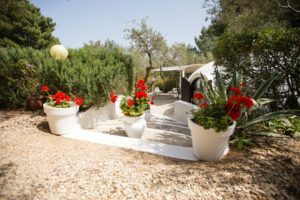 Today the Tonnara is a kind of “museum of the sea” in a natural scenery of rare beauty. The complex is overlooking to a caletta of blue water, closed by the suggestive faraglionis. 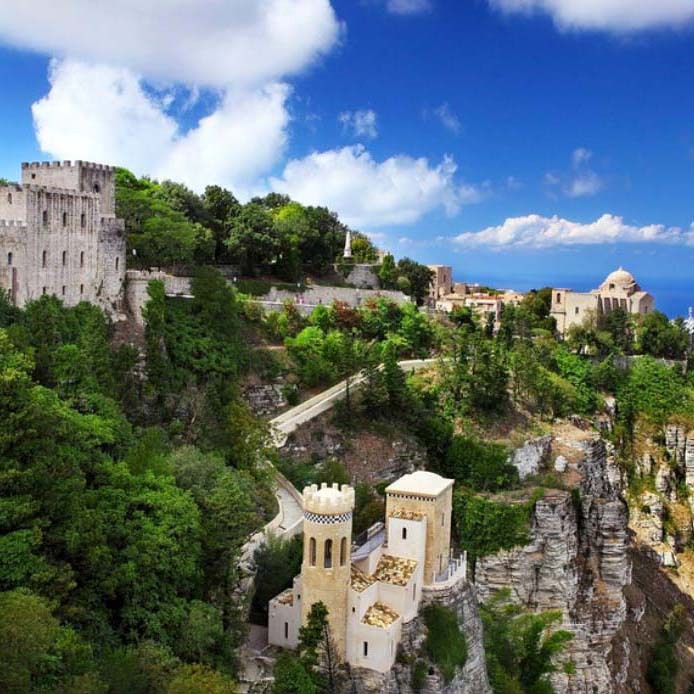 It covers obligatory for the tourists, the Tonnara dista few hundred meters from the country of Scopello. Here the nature and culture seem to compete in a comparison without end. 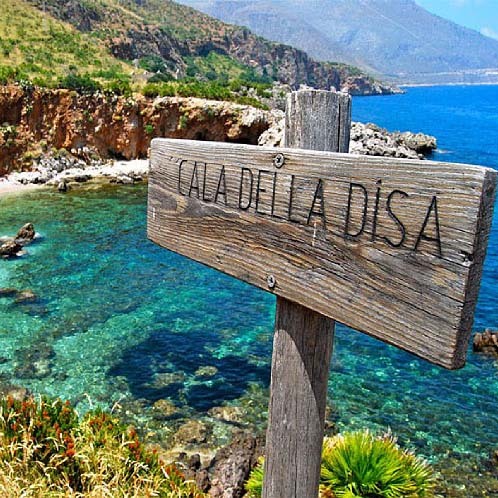 The Natural reserve Directed of The Zingaro, founded in the year 1981 it is one of the more precious “pearls” of the whole island, visited every year by different hundred thousand of visitors coming from every part of the world, for the singleness of the environment and the uncontaminated nature. Agricultural-commercial center and of stay on an isolated high ground. Among the monuments, notable I am the Church Matrix (XIV century), devoted to assumes him with inside referred in last century, the castle medioevale (XII-XIII century). Interesting it is her/it “Procession of the Characters” that it almost develops him every year for the party of Maria Santissima of Custonaci (August). 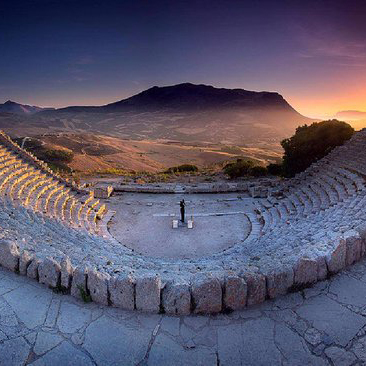 One of the sites of great interest within the archaeology in Sicily. 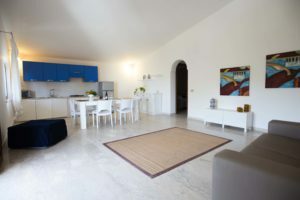 Situated among Trapani and Palermo in panoramic position on the Barbaric mountain at 400 meters. The road that climbs toward the theater (2 kms around practicable also with a comfortable shuttle) offers a magnificent sight on the temple. The temple is in style dorico and the theater it is partly dug in the rock of the hill. In the summer the theater it relives, he/she is filled with ready spectators to taste, in a bond without time, the great tragedies and comedies that bound the Ancient ones.